Don’t pay off any collections without checking with us first because this can lower your credit score. **You can also opt out of receiving all the mail solicitations that you currently receive at your home along with telemarketing phone calls by going to this website- www.optoutprescreen.com. 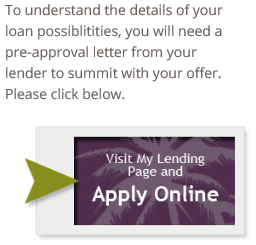 This should only take you about 1-2 minutes to complete for all borrowers who will be on the loan. There will be three options- Permanent Opt Out, Opt Out for 5 years, and Opt In, and the one you want is the Permanent Opt Out because that one can help increase your credit score anywhere from 5-20 points within a 6 week period about 80% of the time. All you will need to do is fill out the short form online, print the form out, sign it, and mail it in to the address provided on the form you sign. Try to do this sooner than later, so we have the best shot to get your credit score as high as possible.